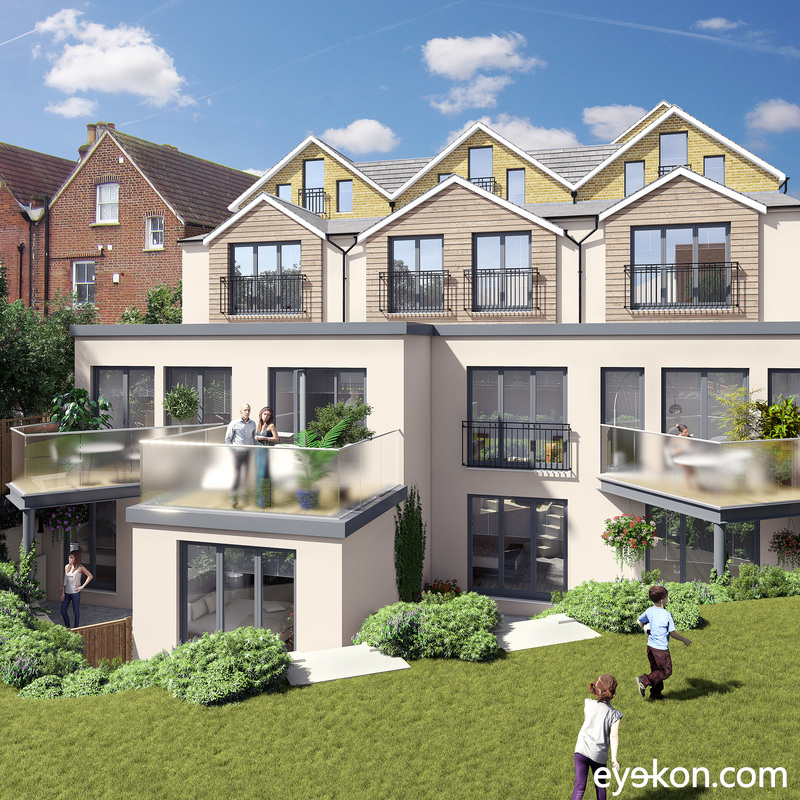 We were recently approached to produce 3D marketing imagery for an exclusive boutique development in Friern Barnet, London N11. The brief was for creating 3 exterior CGI ‘s that convey a warm and homely feel that would appeal to potential buyers as well as showcase the large garden at the back and the 2 out-buildings that could be used as a home-office, gym and sauna etc. 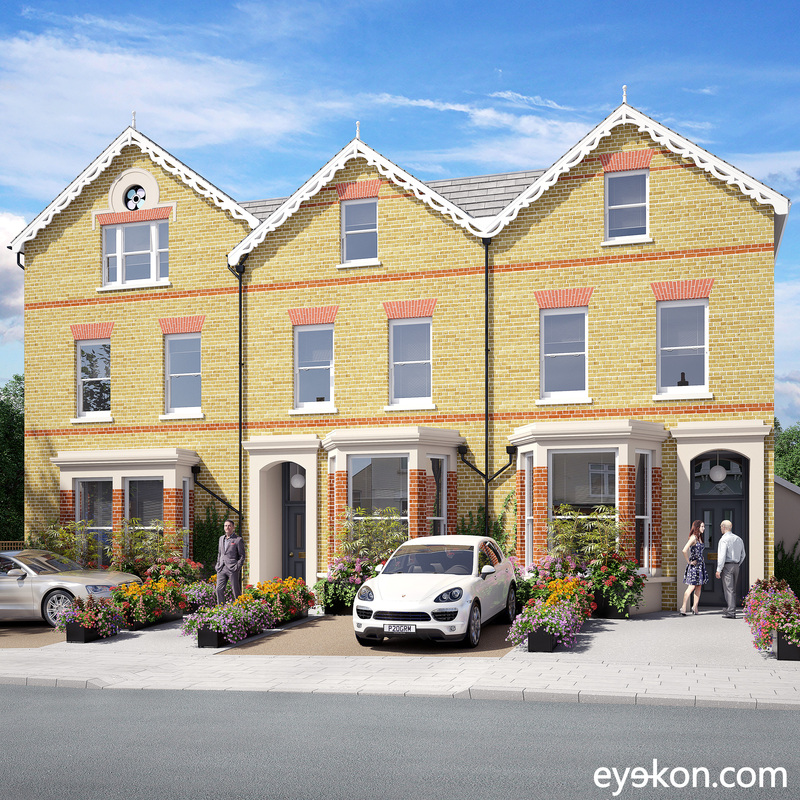 Computer generated illustration of the front facade on Parkhurst Road, London N11. 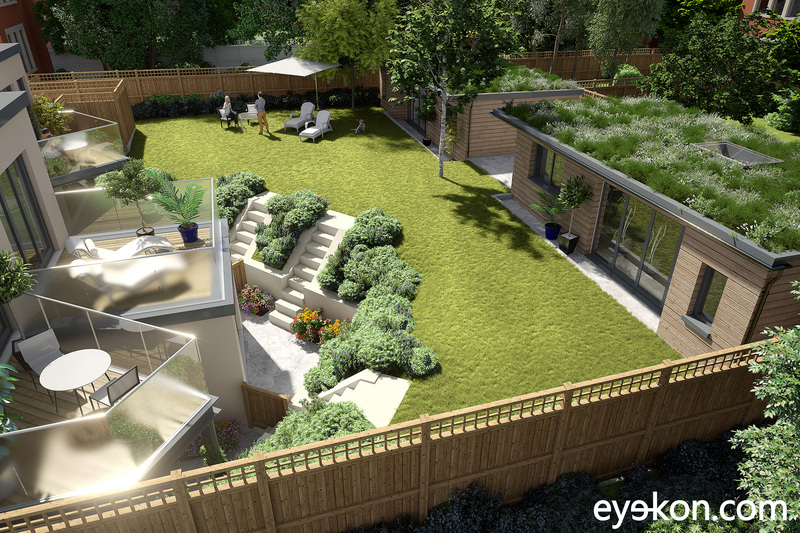 3D Visual from the garden showing the rear elevation. 3D Visual showing the garden and the out-buildings.